It was a pleasure for me when Jean Rowe, proprietor of Greyscale Wines, emailed and wanted to come by the winery for a visit. I had not seen Jean in a few years. Jean and her sister, Anne, came by this past week and we had a wonderful time tasting through some barrels. As a treat, we opened a bottle of the recently bottled Passaggio UNMARKED 2012 Merlot. The three of us went to lunch and had a great time reminiscing about the past. 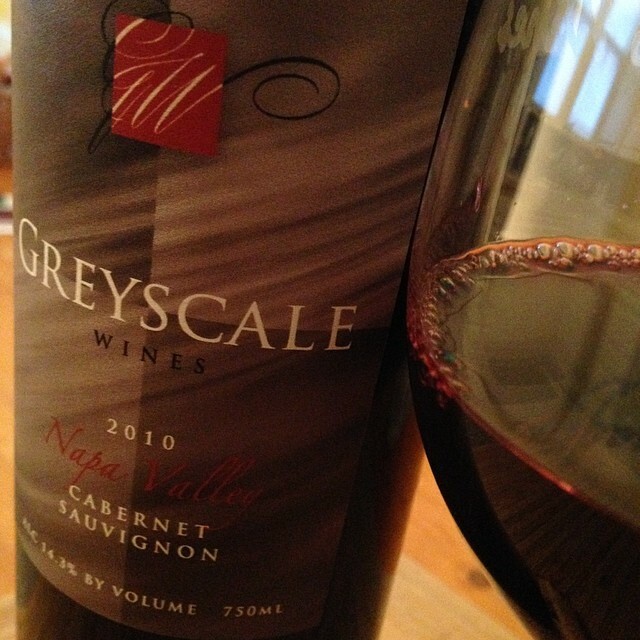 Jean gave me a bottle of her Greyscale 2010 Napa Valley Cab. I was quite excited about this and couldn’t wait to taste it. Thank you, Jean and Larry Rowe, for the special gift…it was greatly appreciated! This wine is 91% Napa Valley Cab, 6% Merlot, 2% Petit Verdot and 1% Cab Franc. On the nose, dark fruit. Spice. Slight floral aroma. Chocolate. Earthy notes. On the palate, medium body. Blueberry. Vanilla. Framed with oak and soft tannin. Balanced acid. Long finish.